Interview Stella — Octa - The friendly chatbot for kid travelers! Hi, my name is Stella. I live in Berlin (Germany). I’m a 9 year old girl who loves dance. Tempelhofer Feld - It was the first airport in Berlin and is still in the middle of the city. Now it’s a huge park for rollerblading, biking, BBQ and circuses. Berlin Wall - It was built in 1961 and torn down in 1989. It divided the city into East and West. 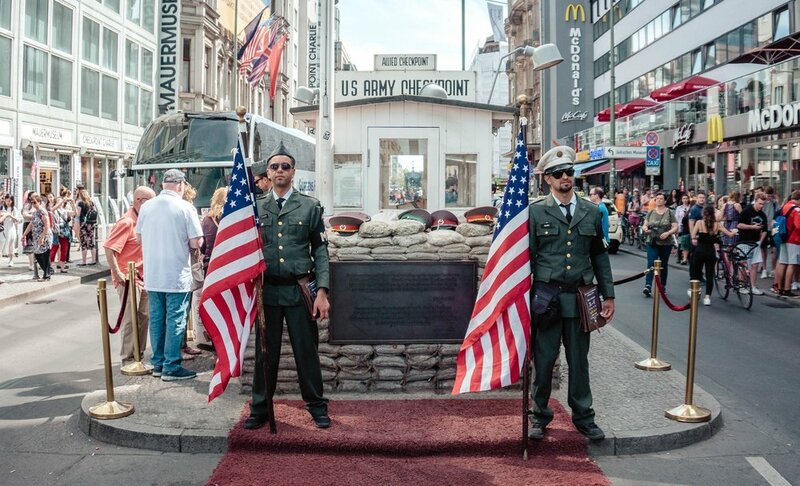 Checkpoint Charlie - It has lots of historical facts about the Berlin Wall. Gleis Dreieck Park - There are lots of playgrounds and picnic spots and a skate park. Ice cream! Germans eat more ice cream than any other country. My favorite place is Vanilla Marilla. Krumme Lanke - A great place for swimming in the summer which has a little Biergarten for parents and hot chocolate for kids. I really want to be a teacher, especially for dance. Hip-hop and freestyle are my favorite dances. Ja! That means “yes”. And Nein -- that means “No”. Danke schoen means “Thank you”. Bitte schoen means “you’re welcome”. My mom inspires me because she has to work a lot but when she’s with me and my dad we get to play a lot together. Schnitzel. 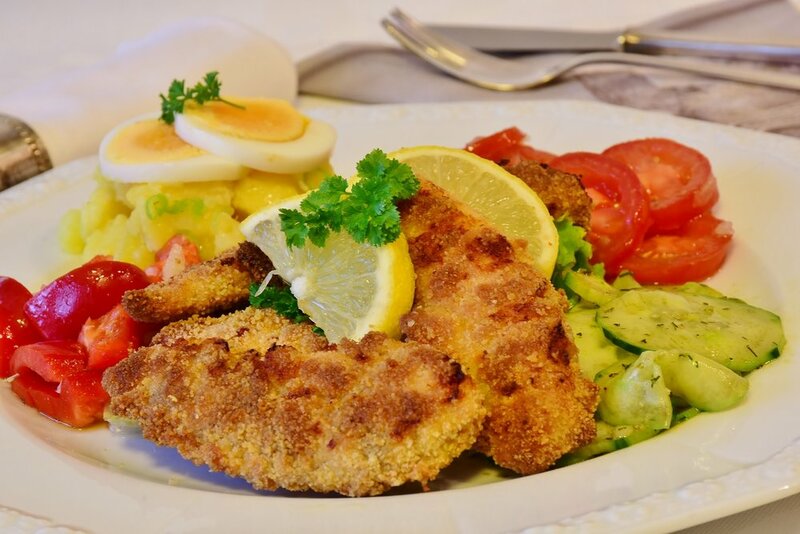 This is a yummy breaded veal or pork dish. Sri Lanka! We're going to both the beach and the jungle!